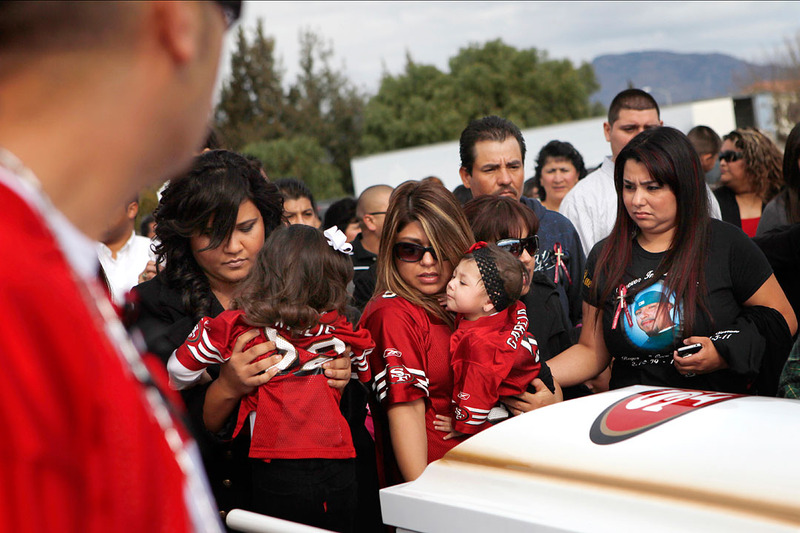 Friends of Rogelio Serrato pose their children for photo by his coffin January 13, 2011 in Greenfield. According to the Four Cities For Peace initiative, a large part of combating gangs has to do with prevention and intervention. "We need to combat the image," said Soledad police Chief Eric Sills. "We don't young people growing up with a picture of being in a gangster lifestyle."